The TOEFL is an admission criterion at virtually all English-speaking U.S. and Canadian colleges and universities for students whose first language is not English. The next generation TOEFL differs greatly from past versions of the test in both form and substance. 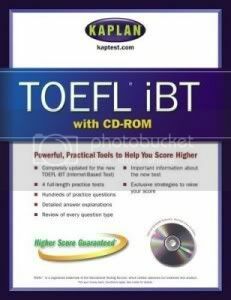 This test-prep CDROM features actual TOEFL questions. I am from Ethiopia. I took my master in English. I need to up grade my education in courses related to English. Would you assist me how to get TOEFL exam and how to be succes. i will like to w rite the toefl english examination with your institution. let me hear from you.thank you. solomon serebour. I have completed my BSC from Jimma University in the field of Electrical Engineering and need to continue my education in one of the fields of Electrical Engineering. so please help me. I am Alayu from Ethiopia . I have degree in English so,I want to continue my further study.would you mind so kind to help me please ! i’m graduated from senior high scool, i,d like to know what is the different TOEFL with the other Certificate for another course? I couldnot download the material and CD. Would you please help us how can i download Toefl materials? i am a graduate on environmental science. i need a scholarship .but i have need GRE score . give some advise about it and give some sofwere about this. I am realy asking for your favour, in the way that i would realy love to take the tests. I live in Myanmar.I would like some help for TOFEL preparation test. I am ACCA student.So I need you assistance please. I don`t have money .I look for a scholarship. I am Egbewande Folake from Nigerian,I have completed a degree in Biochemistry am now looking for ascholarship to do masters degree in Biotechnology in any of the European countries. any assistance will be highly appreciated. WANT TO PREPARE MY SELF TO TOFEL EXAM READING MATERIALS….. I would like some help for my TOEFL preparation test . So I need your assistance please .i have no information about where the test given and what are the creteria to take the examination. I live in East Africa(Ethiopia). I was graduated from the University of Gondar in the field of accounting.please reveal the direction! I look for a free scholarship. AM KYAMAZIMA MONICA,Am a ugandan by nationality. i have completed a degree now looking for ascholarship to do masters degree in human resource management. any assistance is highly appreciated. So I need your assistance please .i don’t have money. I live in Africa. I graduated from the University of Kinshasa . I look for a scholarship.